William Wallace Hanscom was a mechanical engineer in San Francisco who was initially involved in the manufacture and installation of electrical apparatus on board ships for the U.S. Navy and merchant marine. In 1909 he became a consultant engineer in the areas of building installations for light, heat and ventilation, power plants for steel foundries, manufacturing plants, and public buildings for the City & County of San Francisco. From 1914-1917 he was Consulting Engineer for the Bureau of Architecture, as well as conducting research work in radio telephony. Hanscom was a licensed radio operator, and ran a transmitter and receiver from the roof of the Fairmont Hotel in San Francisco that broadcast regular music programs. 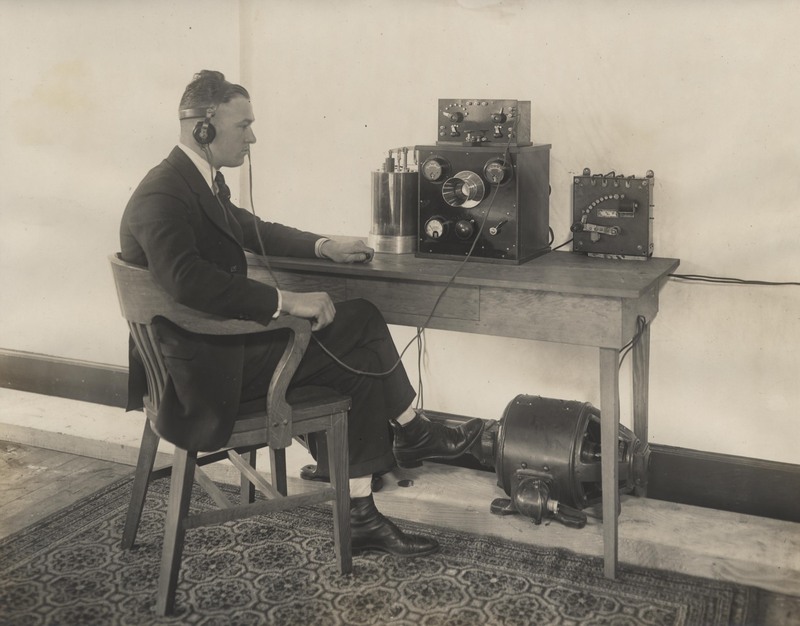 He was chief engineer to National Wireless Telephone & Telegraph, later the National Radio Company, conducting tests on their wireless telephone, or radiotelephone, between 1914 and 1919. 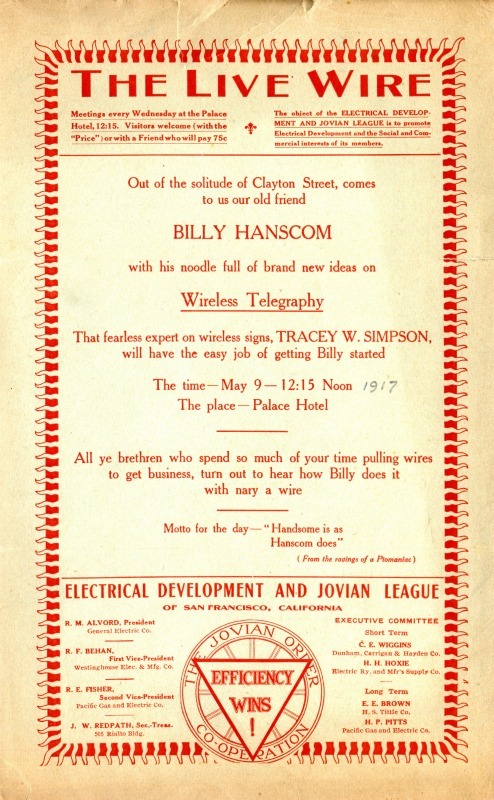 Because of the broad nature of his consultant work, Hanscom was in touch with many companies to enquire about their products and ask for installation quotes, and he corresponded with other radio operators and wireless engineers, including Fred M. Sammis at Marconi Wireless Telegraph Company of America. His original research journals, diagrams, correspondence, and accumulated trade catalogs are part of the Perham History Files, and provide a rich source of material for researching early wireless, radio and electrical work in the San Francisco Bay Area.